The Game Isn`t Over `Til the Kings Go Wild! 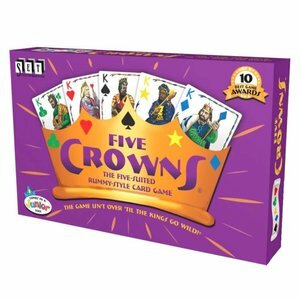 Five Crowns is a fast-paced and ingenious card game that features a deck with five suits instead of the standard four, adding Stars to Spades, Diamonds, Hearts, and Clubs. 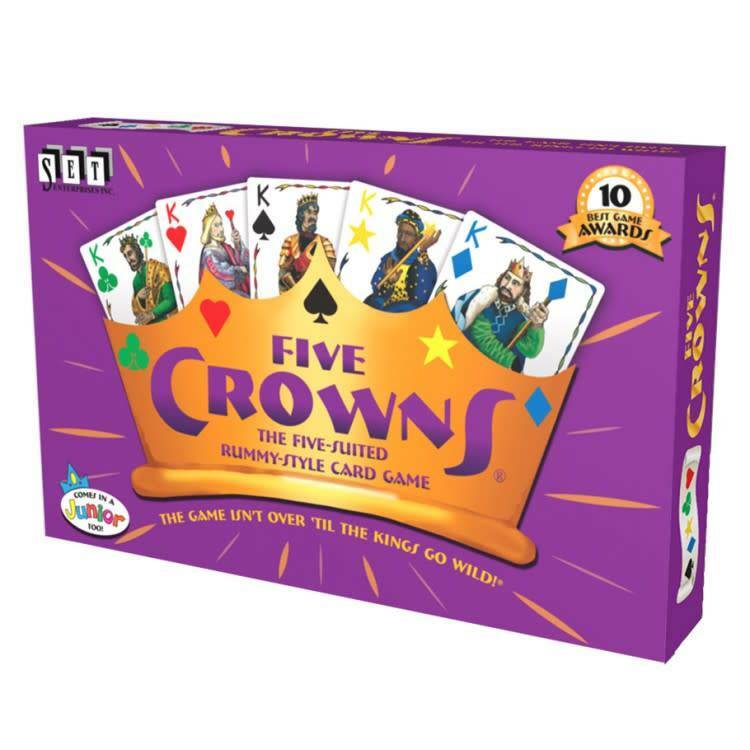 The unique deck gives you many more options for arranging hands of sets or sequences. Make the right combinations and be first to go out and you win!